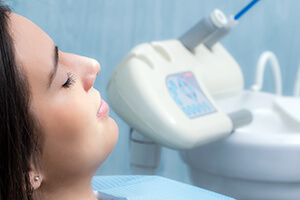 Technological advances have changed the course of dentistry. 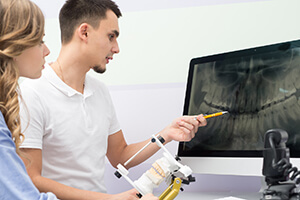 Modern tools give the dentist a detailed view of what’s going on inside your mouth, provide comprehensive images of teeth and supporting structures, and let you become an equal partner in treatment planning. Dr. Holmes, Dr. Revel, and Dr. Lowry use state-of-the-art techniques and technology to deliver safe, efficient, and comfortable care here in Pasadena, TX. Contact us today if you’d like to schedule your first appointment with our staff! All too often, patients end up left in the dark when it comes to their ongoing oral health because they can’t see what our dentists are seeing. Intraoral cameras solve this problem by transmitting high-resolution images of your unique smile to a monitor right in the room! This allows our team members to make your diagnosis and treatment planning much clearer and more fulfilling overall. Traditional film X-rays were essential in helping the dentists of past years identify dental problems located out of the naked eye’s view – but today, our Pasadena, TX team is proud to have invested in an advanced alternative! 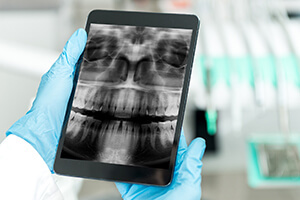 Digital X-rays eliminate many of the pitfalls associated with the original model, including eliminating darkroom development and greatly reducing radiation exposure by up to 90%! They’re also digitally stored, easily transferable, and crystal-clear. Accuracy in treatment planning is a top priority for Dr. Holmes, Dr. Revel, and Dr. Lowry, and panoramic X-rays can provide the truly comprehensive information they need to ensure a high level of success as our team transforms patients’ smiles for the better. 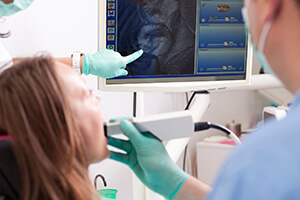 Unlike traditional X-rays, the images our panoramic system captures are three-dimensional, and they can reveal the presence of tumors, the current state of wisdom teeth, the locations of sensitive nerves and sinuses, and plenty more valuable information. Oral cancer is a serious health condition that can wreak havoc on a person’s wellbeing – it may even cost them their life. 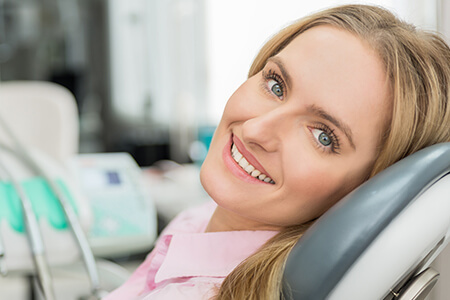 At Pasadena Family Dentistry, we care about your safety, which is why we’ve incorporated high-tech oral cancer screenings with VELscope into every routine appointment. 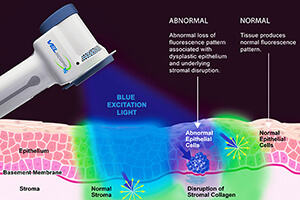 This device uses state-of-the-art fluorescent technology to comfortably and quickly scan your oral cavity, distinctively coloring areas that may be cancerous or pre-cancerous in nature. The earlier these areas are found in the cancer’s development, the greater chances are that you will make a full, successful recovery through treatment. We understand – despite our friendly team’s best efforts, many people simply don’t feel comfortable while visiting the dentist. In order to help you relax, we offer nitrous oxide sedation (also known as “laughing gas”) as a helpful aid. Patients breathe in the nitrous oxide through a nasal mask, and they should start to feel calmer and more content within minutes. Better yet, the effects wear off quickly too, which means you can return to your normal routine with minimal downtime. 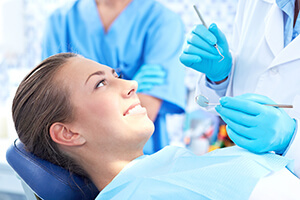 Oral conscious sedation is another, more moderate form of sedation that’s ideal for patients who suffer from dental-related anxiety or who are in need of multiple, time-consuming procedures. You will be instructed to take your prescribed medication at a certain time before your appointment begins, and once the effects take hold, you should enter a deep state of relaxation. In fact, many patients don’t even remember their visit here in Pasadena, TX once it’s completed.